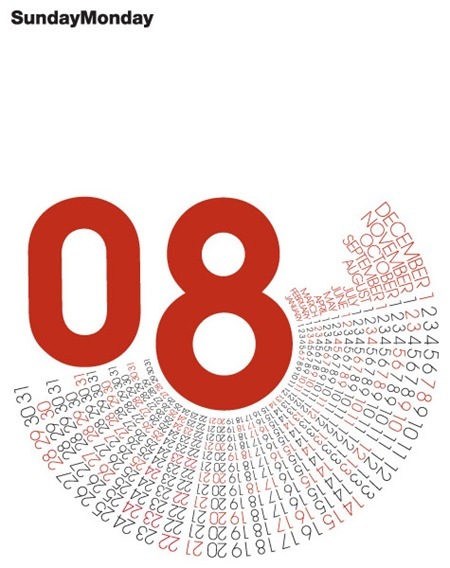 A couple interesting alternative takes on the calendar with some great typography. I am not sure who made these, I remember that I saw them on ffffound but as usual, the source info left much to be desired. Please fill in the blanks if you know more. Hi Scott! I think I’ve found some information about those spectacular calendars made by SampsonMay Design. Yeah they are limited screen prints – which is nice! :) I have attempted to emulate the design principles only because I wanted to understand and learn how and what are the typography constraints of an A1 size format and also how the type was constructed for the circle composition…I have successfully achieved this all in Indesign :) and will maybe screen print some alternatives. I love the second. 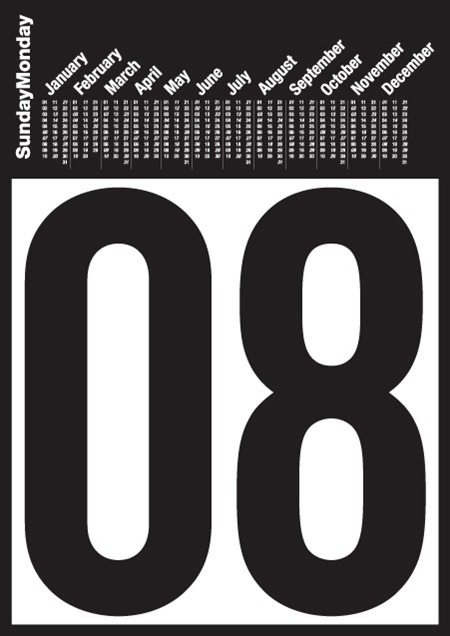 Completely useless as a calendar but a wonderful use of type as a visual whole. Hi Scott. Nice calendars made by SampsonMay Design, me like this.